Looking for an overall vibration measurement on your most critical machinery? 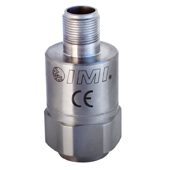 Our line of 4-20 mA vibration transmitters will interface directly to your PLC, DCS or SCADA control system. Scaled in inches per second velocity or g’s acceleration, these sensors provide 24/7online protection for key plant machines, reducing downtime. Finally our impact detection products offer the ultimate machine protection. 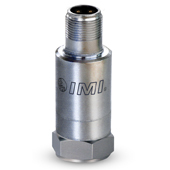 IMI’s Bearing Fault Detector provides early warning of impending bearing failure from cracks and spalls developing in the bearing race. 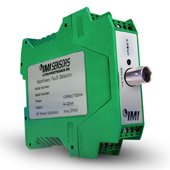 The Reciprocating Machinery Protector is an impact detector and overall vibration monitor in one 4-20 mA signal. 20 mA sensors for permanent installation that interface directly to a PLC. 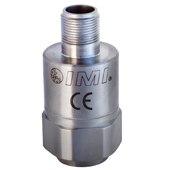 Both an impact and overall vibration transmitter the RMP is designed to capture mechanical looseness and cracked rods in reciprocating machinery. 4-20 mA signal conditioners and displays. The model 683A panel meter can be used with either ICP sensors or 4-20 mA vibration transmitters depending on the options selected. 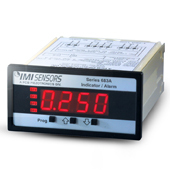 Each display also features two programmable relays with time delays and optional 4-20 mA re-transmit. Below are some of our more popular models but for a full ordering guide click on the pdf brochure at the bottom of the page. Provides early warning of bearing and gear faults, detects impacting associated with spalling, cracking, and lubrication problems, outputs 4-20 mA signals for overall vibration along with various filtered and normalized outputs for more efficient high frequency fault detection.